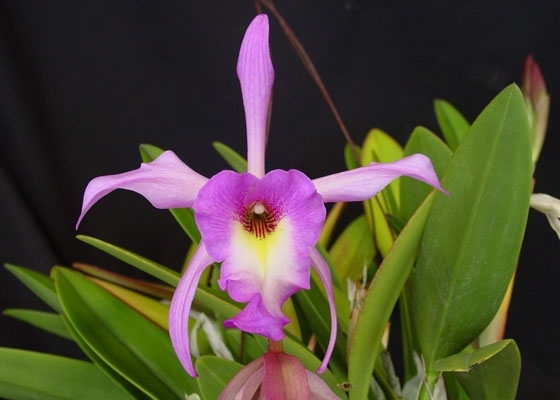 The darkest color cultivar from this primary hybrid of Laelia anceps and Brassovola glauca. It is very free flowering, and will even bloom an occasional off-season spike! Light, sweet fragrance. .Temperature Tolerant. June - July blooming.